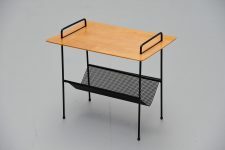 Very nice and elegant side table with magazine holder underneath, model TM04. 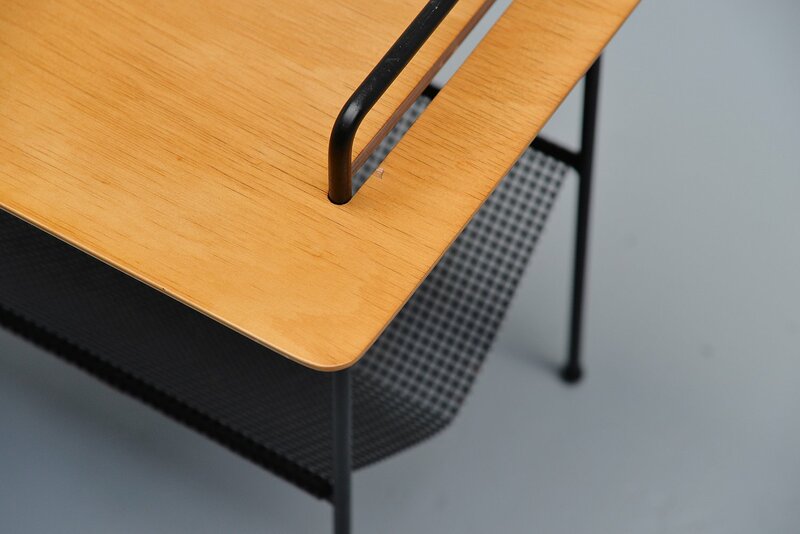 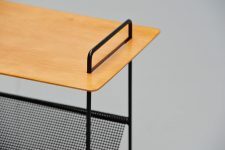 This table was designed by Cees Braakman for Pastoe UMS, Holland 1953. 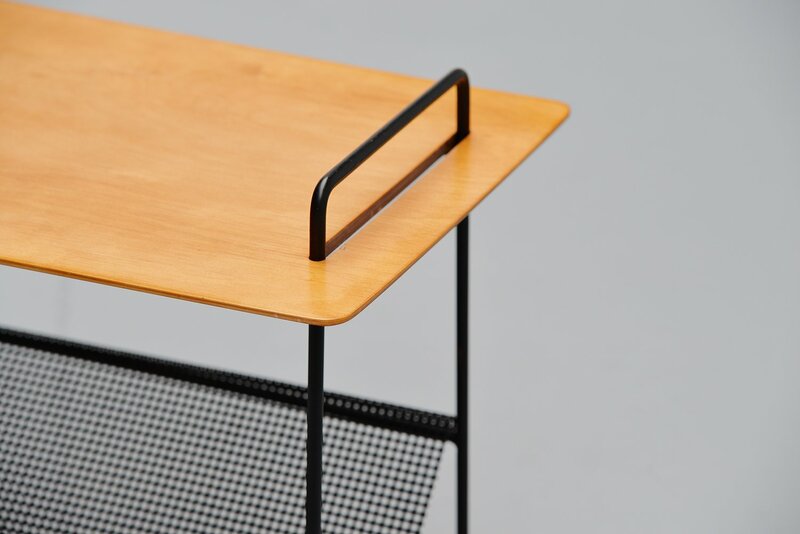 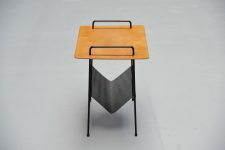 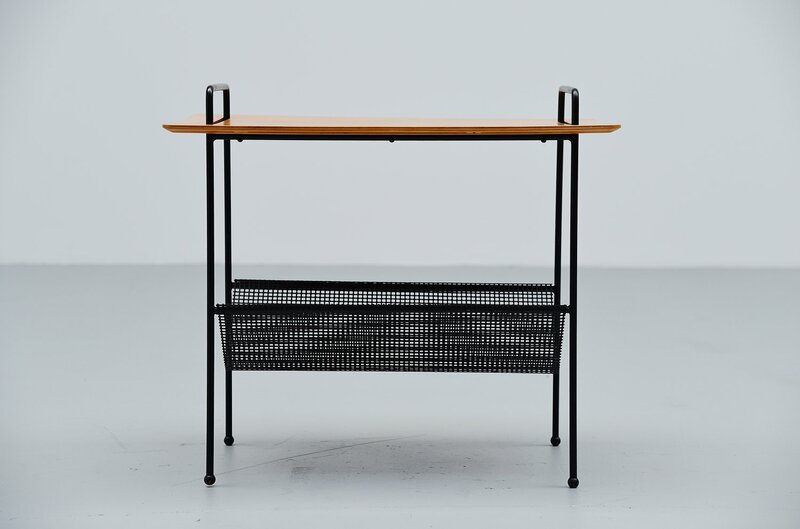 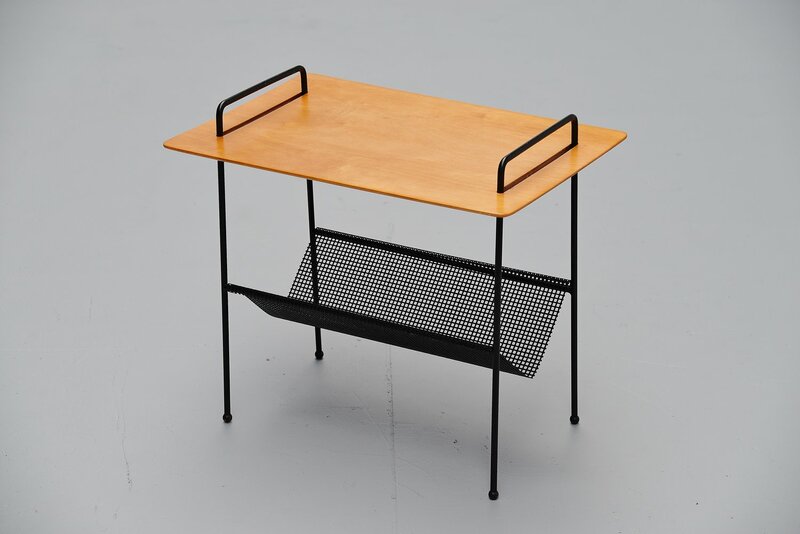 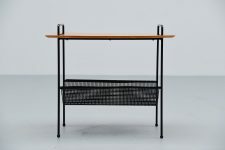 This early Pastoe table has a plywood birch top and a solid metal black lacquered frame with squared die cut magazine holder underneath. 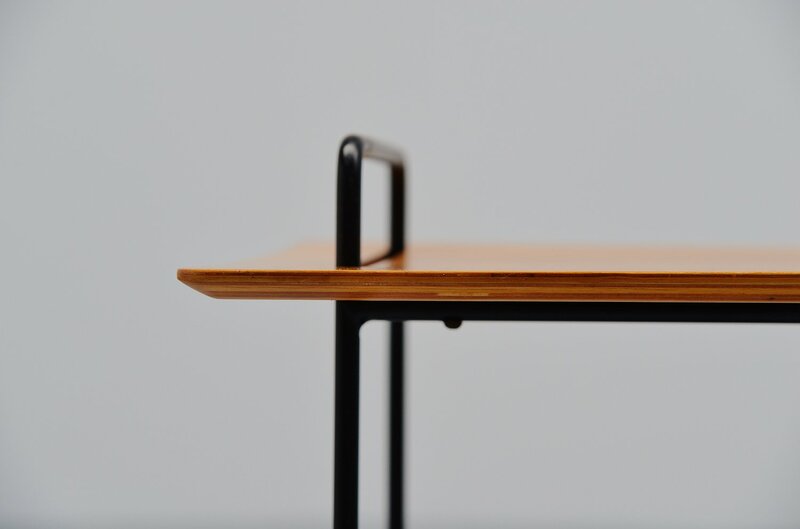 The table top is fully refinished and looks great.